Our blue planet amazes us with so many of its beautiful natural phenomena, including rainbows, bioluminescence and much more. But one such phenomenon, called the ‘Northern Lights’, is so spectacular that it simply imbibes an otherworldly feeling. The Northern Lights are a display of fantastic dancing lights that might be of varying colors. They normally last for time periods of few seconds, which might extend to as long as 30 mins. This phenomenon occurs when the charged electrons of the Sun get trapped in the Earth’s magnetic field. This causes ionization the gas particles in the atmosphere, resulting in a colorful display of lights. They appear only in higher latitude regions and require a clear dark sky. These lights are quite unpredictable and are best to observe during the late winters or else, in March and September. The Northern Lights are also popularly known as Aurora Borealis or Polar Lights. Here are top 5 places to observe the Northern Lights! One of the best places to see the polar lights is Finland. Every year hundreds of tourists visit the country especially to see these lights. 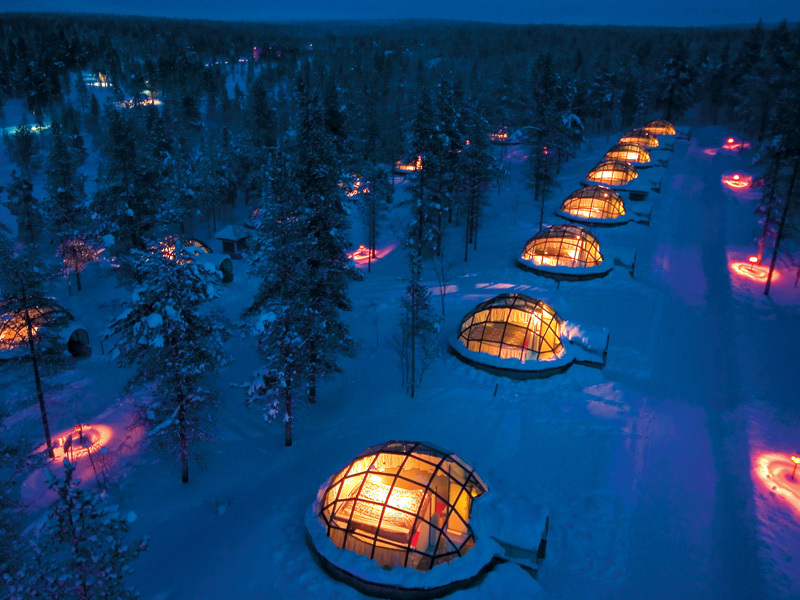 The Kakslauttanen resort and Hotel Iso-Syote here are very popular as they offer glass igloos to observe the Aurora. Other places in Finland provide wooden log cabins along with other activities like sauna, reindeer driven sleighs, etc. Apart from this, Finland is also known for its lakes and national parks. Iceland is quite unearthly even without the Aurora, with all its beautiful lagoons, glaciers, hot springs and much more. Kirkjufell mountain, Hotel Ranga, and Vatnajokull National Park are the popular places here, to see the northern lights. The Ion Hotel in Reykjavik even has a Northern Lights Bar for its visitors. The best time to visit this country for the light show is between November and February. As such, the Aurora Borealis can be observed from almost across the whole country of Norway. But the best places here are Tromso and Svalbard. 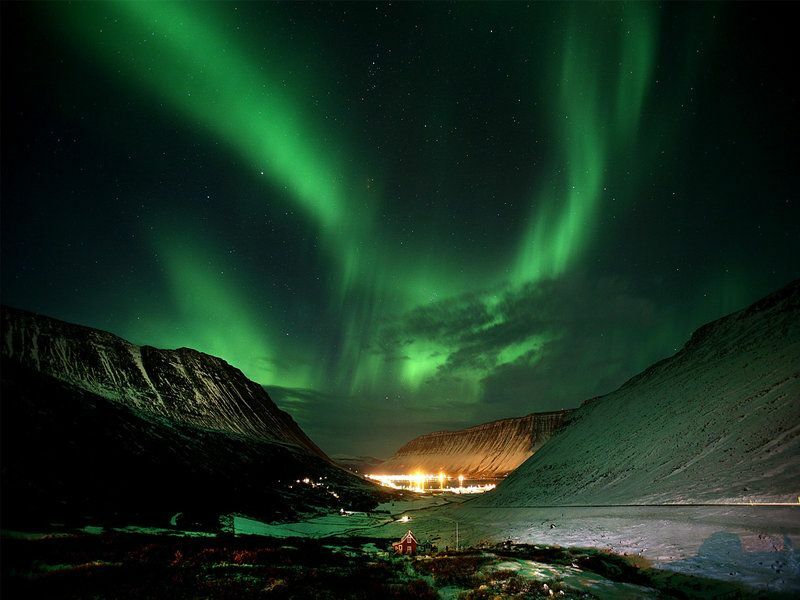 Tromso organizes an annual 9-day Northern Lights Festival. 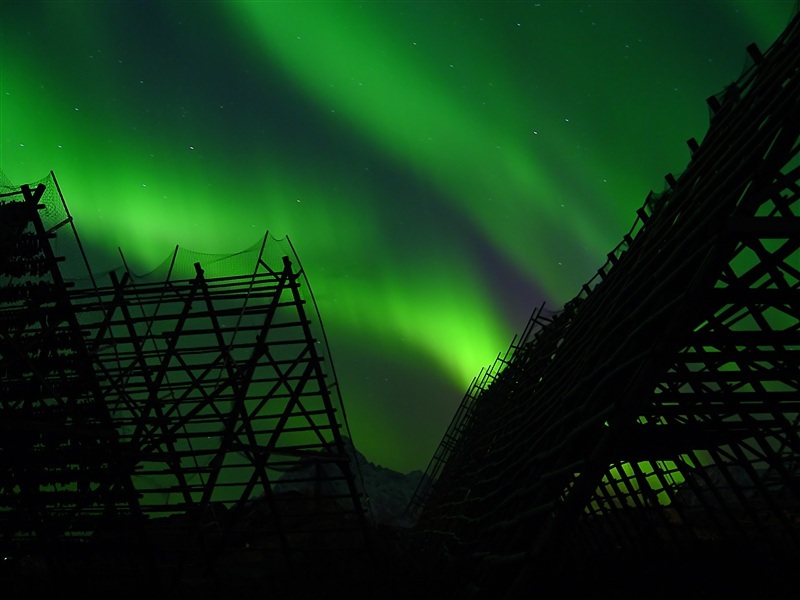 With many of its events taking place right under these lights, this place is simply perfect for the northern lights. Svalbard, a chain of islands in the Barents Sea, experiences perpetual darkness for 2-3 months a year. Thus, maximizing the chances of witnessing the phenomenon. Other good places in Norway for the light show are Lofoten Islands, Finnmark, and Alta. Canada is another country where several regions offer a display of the polar lights. Low light pollution and higher latitude are the main reasons for that. Some the most famous places are Alberta’s Jasper National Park, Yukon, British Columbia, Yellowknife, etc. But, Churchill is the best place here, experiencing auroral activity for almost 300 nights a year. Apart from this, the country is also visited for its serene lakes and snow capped mountains. 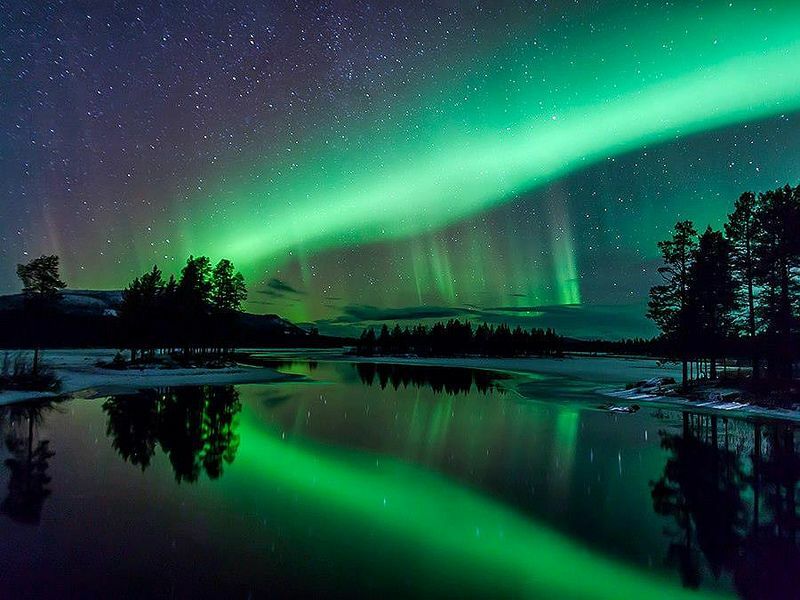 The northern part of Sweden is very popular for Aurora lights, across all of Europe. There is a hotel named Ice Hotel, which as the name suggests is made of ice. It even houses a special Northern Lights Suite and also a horseback tour. Apart from this, another popular place is Abisko National Park, containing the Aurora Sky Station. Best time to visit most locations in Sweden for the light show is from September to April.